March Madness gripped the nation last week, with Cinderella's, powerhouses, upsets, and chalk. One surprise team was the University of California - Los Angeles, who many thought had no business even being in the tournament. One week later, they're one of only 16 teams alive. 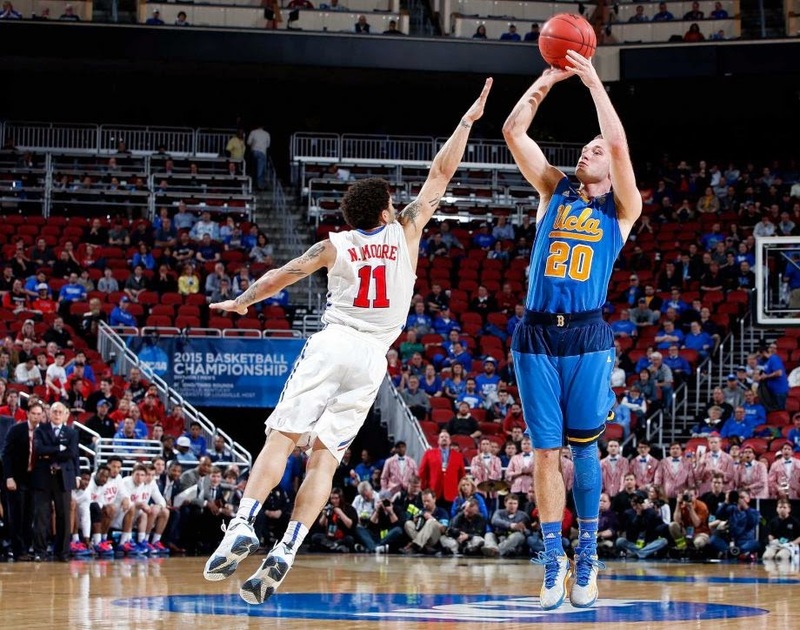 Their success was due in no small part to heroics of sophomore Bryce Alford. In the first game against the higher seeded Southern Methodist University, the sharpshooter could not be stopped, nailing nine 3-pointers in 11 tries for 27 points (no other points from the field or line). In playing 39 minutes, Alford had four of those in the last 4 minutes, including a bizarre goaltended shot to push UCLA pats the Ponies by just a point. In the second game, he chipped in another 22 points (3-5 from beyond the arc) with 5 assists (in another 39 minutes) as UCLA coasted past University of Alabama - Birmingham. The traditional powerhouse is now wearing a glass slipper, will Alford next shoot down Duke?